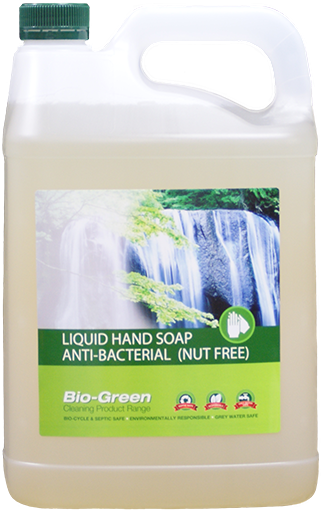 The ideal multipurpose liquid cleanser, formulated to clean a multitude of soils encountered on a variety of surfaces. Contains natural eucalyptus oil and citrus oil to boost solvency and provide refreshing aroma. The product is harmless to all surfaces and rinses streak free for a sparkling clean. Prepared from ingredients that have been carefully selected to maximize both ecological and operator safety. Is a new generation cleaner with a unique mix of plant based wetting agents and foaming agents. The product utilizes a plant based acid as natures’ anti-bacterial agent – found in foods, plants, animals and the human body. 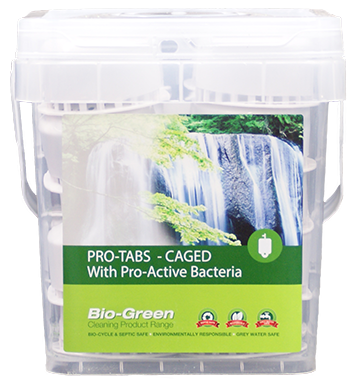 These natural anti-bacterial agents play an important role in cellular and body metabolism and are classified as non-toxic (reports available for algae, fish, rats) and readily biodegradable. 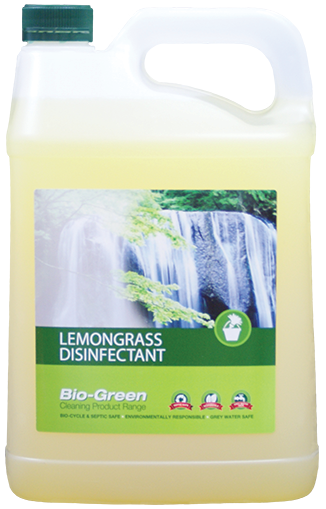 Is a multipurpose germicidal cleaner designed to perform three important functions with one application – disinfect, clean and deodorise. Is a commercial strength product – highly concentrated – for optimum results, follow recommended usage directions. Safe to use on most fabrics. Treat coloured fabrics and whites separately. Follow the clothing manufacturers washing instructions. If in doubt, test colourfastness of garments before use. Is manufactured using gentle cosmetic and plant-based wetting agents and moisturisers. Alkyl polyglucosides are wetting agents made by reacting glucose or cornstarch with a fatty alcohol – super mild and readily biodegradable surfactants made from renewable resources. 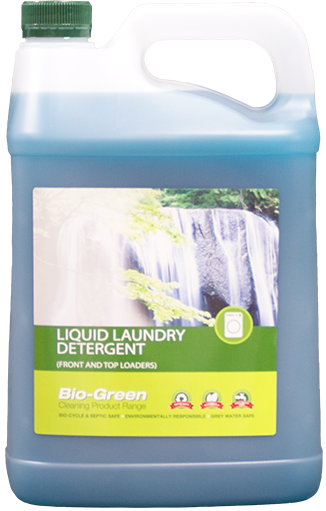 A fragrant liquid laundry detergent that combines the washing power of a soap powder with the convenience of a liquid. 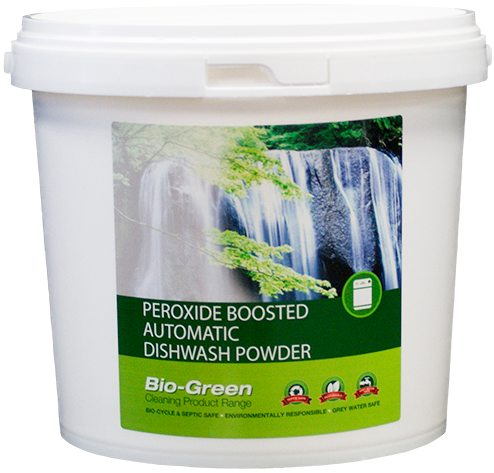 Contains high levels of biodegradable wetting agents and soil re-deposition inhibitors to dissolve and hold laundry soils in solution. The liquid whitens, brightens and demonstrates ease of dispensing and rinsing. Prepared from select ingredients that have been carefully chosen to maximise both ecological and operator safety. Is a new generation cleaner and sanitiser with a unique mix of plant based acids and wetting agents boosted with natural eucalyptus oils. 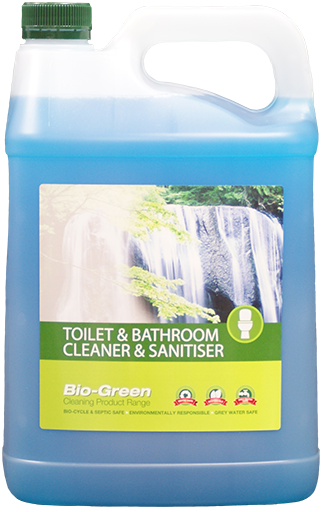 "Bio-Green Toilet and Bathroom Cleaner" utilises two naturally derived food acids to attack stains. 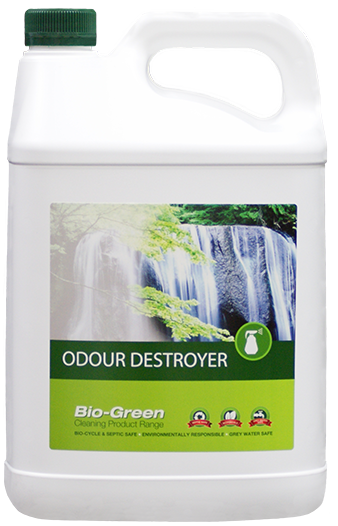 With active bacteria (a patented species of ‘probiotic’ live bacteria) and patented manufacturing method, are a new generation deodorant cleaning tab designed to clean and reduce odour problems associated with urinals. Available with or without a cage. 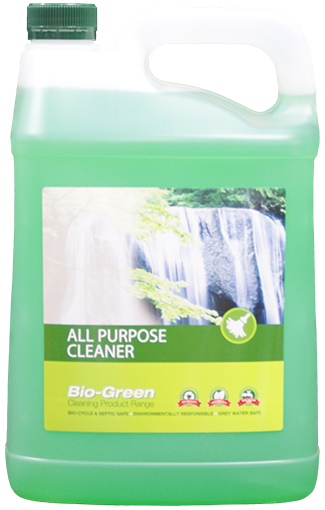 Is a new generation cleaning product formulated with biological actives such as pro-active bacteria and enzymes derived from bacteria. The “BIO-GREEN” range has been prepared from select ingredients that have been carefully chosen to maximize both ecological and operator safety. Is designed to give softness and freshness to your whole wash. Particularly effective for towels, woolens, nappies and blankets. 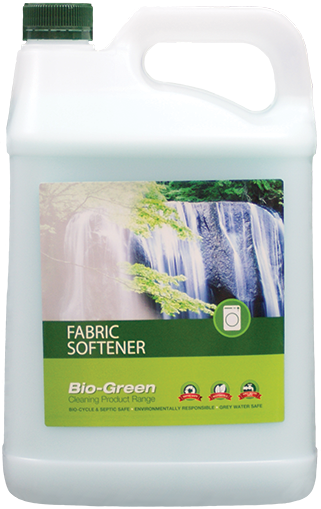 Makes ironing easier and eliminates cling from synthetics. 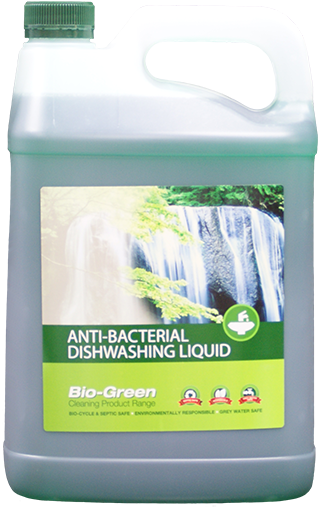 Is a modern automatic dishwash powder formulated for use associated with septics and waste treatment plants. Traditional chlorine based dishwash powders and tablets put stresses on such biological systems. 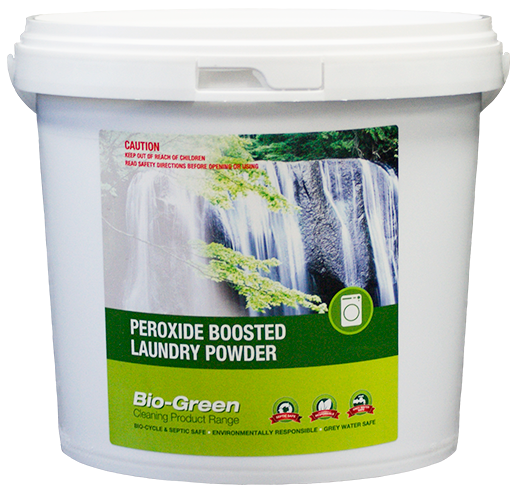 A peroxy salt is included to generate hydrogen peroxide as an active oxygen bleach, stain remover, deodorizer and sanitizer. Is a fragrant detergent powder for use in both commercial and domestic machines. Formulated to provide excellent results in all water conditions. Contains optical brightener to ensure maximum whiteness and colour enhancement. Also boosted with a powerful peroxysalt to provide hydrogen peroxide in the wash – removes stains, sanitizes and deodorizes. 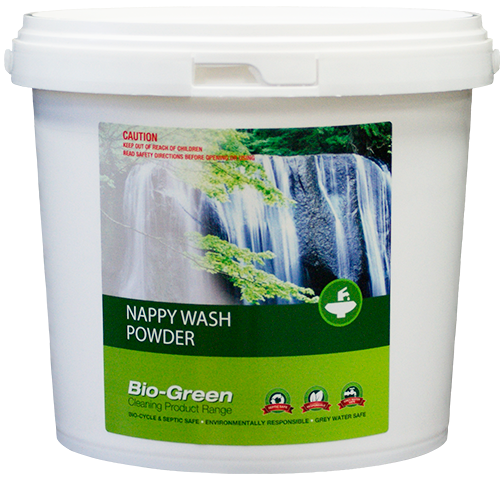 Contains high levels of biodegradable wetting agents and soil redeposition inhibitors to dissolve and hold laundry soils in solution.